Founder and Storyteller in Chief at IVOW & co-chair of the VRARA Storytelling Committee. My Beautiful Home is one of the five 360/VR films selected in the 5th annual Socially Relevant Film Festival in New York. As I considered how to select the 360/VR films for the 5th annual Socially Relevant Film Festival in New York, there were several criteria to include. How immersive and engaging were the films; what kind of impact did they have on us; did they have a creative approach to filming, sound, and storytelling; and finally, how original was the interaction? These questions were inspired by SwedenVR, an international VR competition that takes into consideration UN Sustainable Goals when judging films and their impact. My Beautiful Home and The Great, two of the 360/VR films showcased at this year’s festival, exemplify the transformative qualities of VR. Both films move you to your core but in completely different ways. The Great invites you on an exhilarating dive with great white sharks. While the filmmaker is in a cage behind you or to your left or right, you’re immersed with a shark in crystal blue waters in the western frontiers of Mexico. The shark is free and you are mesmerized by the sheer strength and beauty of its nature and physique. The instant when you sense a shark coming towards you is surreal and powerful. My Beautiful Home, set in the slums of Kibera, Kenya, although not nearly as well-produced as The Great, had much more of a personal impact on me. Lucy Ochieng of Kibera is our guide throughout this powerful story that chooses to dwell on the richness and universality of creativity and community rather than the extreme poverty that surrounds us. The spirit of the film is genuine and together with the narration, the whispers were effective in making me care and pay attention. Compared to the other films nominated, there was an unmatched depth and immersive sensibility to this film. Discovering the raw power of VR as an impactful storytelling tool has been one of the most fulfilling experiences of my career as a journalist. I spent two decades at NPR News producing national and international broadcasts including NPR's Weekend Edition, Tell Me More, and Morning Edition, where I helped shape the newsmagazines and was responsible for decisions that required elaborate coordination such as broadcasts from Baghdad, Kabul, New Orleans, and Ferguson, Missouri. I left NPR in 2015 and joined the open innovation space. Working with SecondMuse, I designed a global immersive storytelling call-out around healthy eating in the South Pacific, funded by the Australian Government Department of Foreign Affairs and Trade’s innovationXchange (DFAT iXc). The selected pilot programs, produced by storytelling agencies in Sydney and Melbourne, will launch in late April and are geared towards tackling malnutrition and bringing pride back to traditional diets via VR and gamification. Tash Tan is the co-founder of S1T2 in Sydney and the creator of Beyond the Stars, an educational program that uses innovative technology, play-based learning tools, and storytelling mediums to inspire children in Fiji to adopt healthy living habits, self-educate on subjects from their school curriculum, and consider the impact their actions have on the environment. Set across the backdrop of the Pacific Islands, the heroes of Beyond the Stars journey with students across islands, through mountains, and into underwater caves searching for legendary sacred relics that have been imbued with the wisdom of an ancient civilization. This knowledge is the key to restoring health and prosperity in the Pacific and preserving the natural beauty of the land. S1T2 uses virtual reality to introduce this story in a first-person format that allows children to embody their character’s journey in the virtual world. Starting from the comfort of a familiar classroom, the story quickly moves to magical environments, merging fiction with reality. 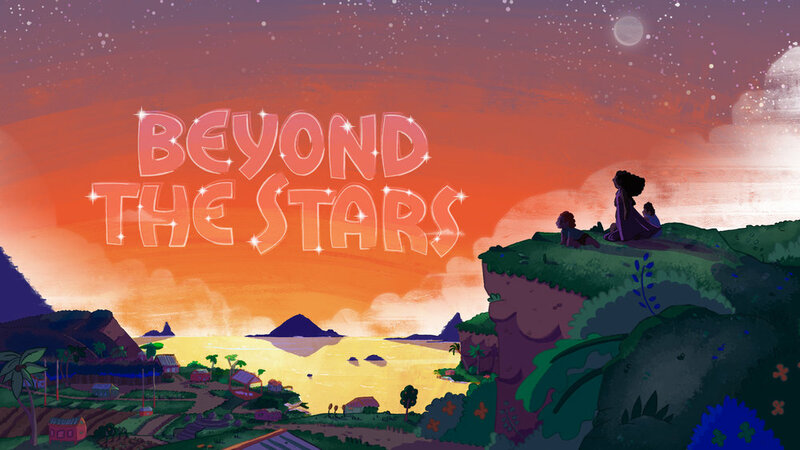 In the VR experience of Beyond the Stars, the hero is the protagonist urging children to make choices in the story world -- a consistent theme used to underline the importance of decision-making when it comes to healthy living and nutrition. 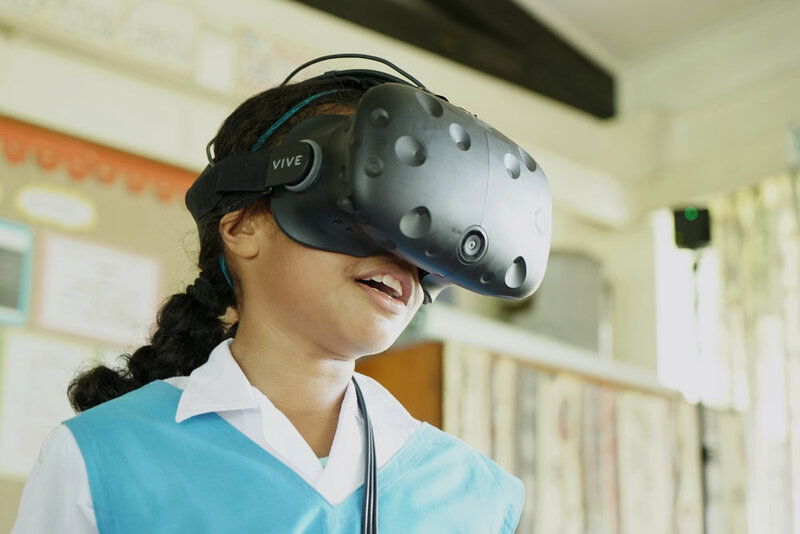 The purpose of the virtual reality experience is to imbue a sense of wonder within each child so that when they are exposed to other low-tech mediums they manifest their imagination into the program. Allan Soutaris of SecondMuse is the director of the Legends project. He says the key to making it successful is to involve stakeholders from across the island nation of Fiji -- including the Ministries of Education and Health, as well as teachers, students, and parents. The inspiration I found in my work with SecondMuse and the Legends Projects led me to start IVOW, a storytelling agency powered by AI & Culture. Part of our mission will be to strengthen metadata in 360/VR storytelling. It is said that the best stories are not just read or heard -- they are felt. VR provides us a unique way to live inside a story, to experience an imagined world and the real life of the characters and creatures that shape our existence. Davar Ardalan is the founder of IVOW, a storytelling agency powered by AI and culture. She’s also senior advisor to the Legends project in the South Pacific along with Ben Kreimer, IVOW’s Director of Storytelling Technology. Ardalan was formerly the director of Storytelling and Engagement at SecondMuse and an award-winning journalist for National Public Radio from 1993–2015.